A gothic accent for gardens, decks, walkways, patios and many indoor uses. 20.5-inch Ancient Moai Statue, package of 2. An exotic accent for gardens, decks, walkways, patios and many indoor uses. Constructed from NuCrete<sup></sup> , a durable fibre reinforced concrete. Dutch Boy Statue; A casual accent for gardens, decks, walkways, patios and many indoor uses. Constructed from NuCrete<sup></sup> , a durable fibre reinforced concrete. A stunning portrayal of a father bear as he stands to shelter his cub. A remarkable statue that captures the true essence of nature and its wonders. Gorgeous detail and colour. Constructed from our "Comp-Cast the right weight, not light weight" material, this piece will provide years of enjoyment. 16-inch Mushroom Hedgehogs Statue. A whimsical accent for gardens, decks, walkways, patios and many indoor uses. Constructed from Comp-Cast, a resilient stone, fibre and resin material. 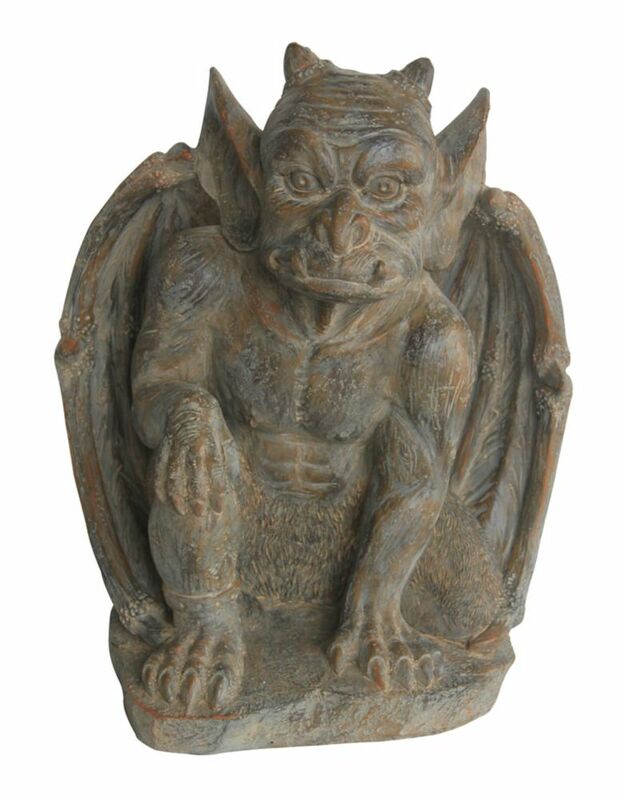 15 3/4-inch Gargoyle Statue A gothic accent for gardens, decks, walkways, patios and many indoor uses.